Desiree Logsdon, BUNN VP of Marketing, recaps her visit to the 2nd Annual North American Tea Conference that took place at the Taj Hotel in Boston, Massachusetts from August 29th-31st. Congratulations to the Tea Associations of the USA and Canada for presenting the 2nd Annual North American Tea Conference in Boston this week. Despite the wrath of hurricane Irene, Executive Directors, Joe Simrany (USA) and Louise Roberge (Canada) put together a successful event. The conference provided excellent networking opportunities for producers, importers, retailers and suppliers to come together and share conversations around the challenges and successes in the world of tea. At the Chairmans Dinner, Joe Wertheim of Tea Importers, Inc. was honored for his many years of successful work in tea. The educational sessions offered insights on North American drinking trends both in retail and foodservice. The news is good. Overall, tea consumption is increasing with iced tea experiencing strong growth in the foodservice segment. 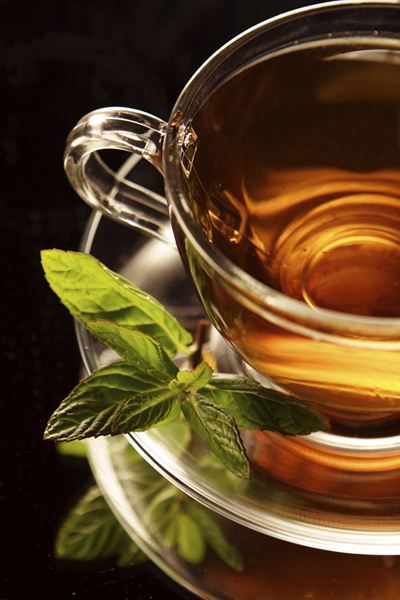 Specialty teas were suggested as a path to keeping tea relevant in the beverage landscape. Regional preferences have not changed; USA consumers like their tea cold, while Canadians prefer hot. Recent statistics show 88% of USA consumers drink iced tea, with 12% drinking hot. Canadians consume 65% of their tea hot and 35% iced. Other sessions focused on mega trends in the global tea industry and comparisons to tea consumption against other beverages. New categories of emerging beverages were discussed including relaxation beverages, coconut water, energy shots, protein drinks and kombucha. The final sessions focused on consumer perceptions of tea and a discussion surrounding the rise of specialty tea. Tea enthusiasts should save the date for next years North American Tea Conference, September 11-13, Niagara Falls, Ontario, Canada.